When C.I.A. interrogators in a Thailand prison sent a cable to agency headquarters recounting that they had been slamming Abu Zubaydah, a captured terrorism suspect, against a wall, they emphasized that they were obeying instructions to take steps to prevent his injury, like putting a rolled-up towel behind his neck, and described the practice in detached terms. From the perspective of Mr. Zubaydah — whom interrogators eventually conceded had no additional information, contrary to their suspicions at the time — the experience felt far different. Batches of newly disclosed documents about the Central Intelligence Agency’s defunct torture program are providing new details about its practices of slamming terrorism suspects into walls, confining them in coffinlike boxes and subjecting them to waterboarding — as well as internal disputes over whether two psychologists who designed the program were competent. 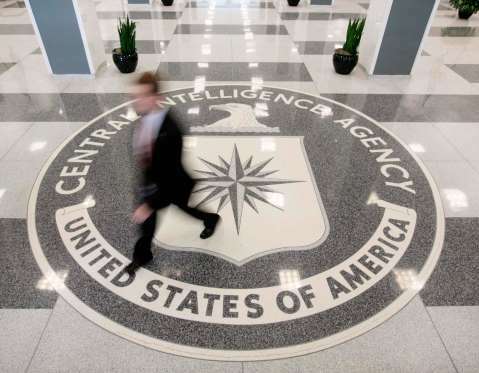 The release of the newly available primary documents, which include information not discussed in a 500-page executive summary of the Senate Intelligence Committee’s investigation into the C.I.A. torture program that was released in 2014, comes at the same time as an urgent legal battle is unfolding over the potential fate of the still-classified, 6,700-page full version of that report. Lawyers for two detainees who were subjected to the C.I.A.’s most extreme “enhanced” interrogation techniques, Mr. Zubaydah and Abd al-Rahim al-Nashiri, the suspected mastermind of the deadly October 2000 attack on the American destroyer Cole, are asking federal judges to order the executive branch to deposit a copy of the full report with the judiciary to ensure that the Trump administration and congressional Republicans do not destroy it. But the Obama administration, in its waning hours, is fighting that idea. Against that backdrop, the two sets of newly available documents present a vivid contrast in perspectives, as the C.I.A. cables recount in bloodless bureaucratese the infliction of techniques that Mr. Zubaydah recalled experiencing in harrowing terms. For example, when interrogators at a C.I.A. black site prison in Thailand confined Mr. Zubaydah in a cramped box on Aug. 5, 2002, they observed to headquarters that he showed “signs of distress,” according to one of the cables from a group the government declassified as part of a lawsuit against the psychologists who designed the program. The lawsuit is being brought by detainees represented by lawyers including from the American Civil Liberties Union. The A.C.L.U. provided the documents to The New York Times. Mr. Zubaydah remembered the box experience in more vivid terms. Mr. Zubaydah also described experiencing what he thought were persistent health consequences of his torture, including severe headaches and seizures. Many other detainees experienced lasting harm after harsh treatment in American custody, including post-traumatic stress disorder, a recent New York Times investigation found. Another group of documents produced in discovery from that lawsuit, first provided by the A.C.L.U. to The Washington Post, showed that in mid-2003, about a year after the agency hired the two contract psychologists, James Mitchell and J. Bruce Jessen, to design a torture regimen for Mr. Zubaydah, unidentified C.I.A. employees raised sharp questions about their ethics and competence to judge whether the techniques they had orchestrated were harmful or effective. A lawyer for the psychologists, Henry F. Schuelke III, declined to comment. The newly available files supplement the publicly available historical record about the torture program, intensifying questions about whether the public will ever see the full fruits of the Senate Intelligence Committee’s investigation — the result of years of combing and contextualizing millions of pages of government documents by committee staff members. In 2015, after Republicans took control of the Senate and the Intelligence Committee, they asked President Obama to return all copies of the full report, which former Democratic senators have said contains “volumes of new information” that were not made public when a 500-page executive summary was disclosed in 2014. Mr. Obama did not comply with that request, and in December of last year, he notified the Senate that he was including a copy of the full, still-classified report in his presidential records that would be deposited at the National Archives. But Michel Paradis, a lawyer for Mr. Nashiri, argued that Mr. Obama’s decision about his presidential records was insufficient, because Mr. Trump might seek to withdraw the report from the archives and destroy it. But in court filings, the Obama administration has asked Judge Lamberth to reconsider, making two arguments: Preserving it would interfere with congressional-executive branch relations, and giving a copy to the court was unnecessary in part because of Mr. Obama’s archived copy. The C.I.A. cables revealed other potentially important new details. For example, detainees at C.I.A. prisons have long claimed that they were injected with unknown drugs against their consent, which had powerful effects on them — something that medical experts have decried as unethical. While previously released documents from 2004 said that C.I.A. prisoners could be sedated as a last resort, a newly released cable describes a different practice. In April 2002, C.I.A. personnel at an interrogation site wrote that they planned to transport a detainee — apparently Mr. Zubaydah — “in a state of pharmaceutical unconsciousness to decrease potential security concerns as well as to maximize the intended effect of disorienting” him. It is unclear from the documents whether the C.I.A. followed through. The new information is consistent with the conclusion of the Senate committee’s torture report that the C.I.A.’s use enhanced interrogation techniques was not effective in acquiring intelligence or gaining cooperation from detainees. On Aug. 18, 2002, after 15 days during which Mr. Zubaydah was repeatedly waterboarded, kept for hours in small boxes, pushed into walls and threatened, the interrogators sent a cable to headquarters stating their conclusions. The prisoner “has not provided significant actionable info beyond previously provided details,” they wrote.